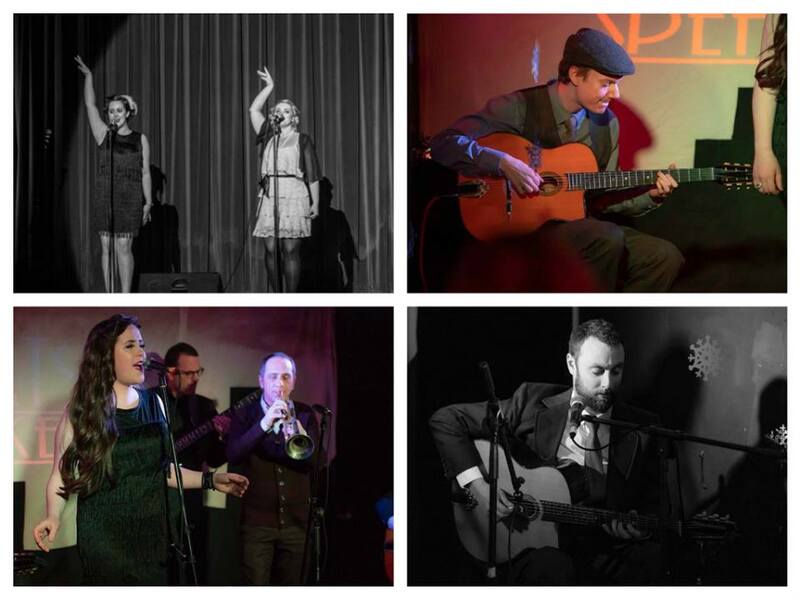 10.30pm - 1am Six piece Swing band, The Old World News perform jazz standards and modern pop in their own swinging vintage style. Their previous experience includes tour dates with Jools Holland, 10cc, Scottish National Jazz Orchestra, Hue & Cry and performances at Glastonbury. The Old World News guarantee you’ll be tapping your toes and hitting the Swing dance floor to their upbeat blend of vintage jazz and blues! The band is comprised of vocalists Ciadhra McGuire and Sally Swanson. Guitarists Calum Mcann and Iain Mcnally with Uri Stav on bass and Tom MacNiven on trumpet. £15 seated or £12 standing Please fill in our booking form to arrange. Our cabaret style tables seat 4 so smaller groups may be sharing and larger groups split over several tables.